I have a thing for cumin right now. I cannot get enough of it with beans, rice, soup, and sweet potatoes. 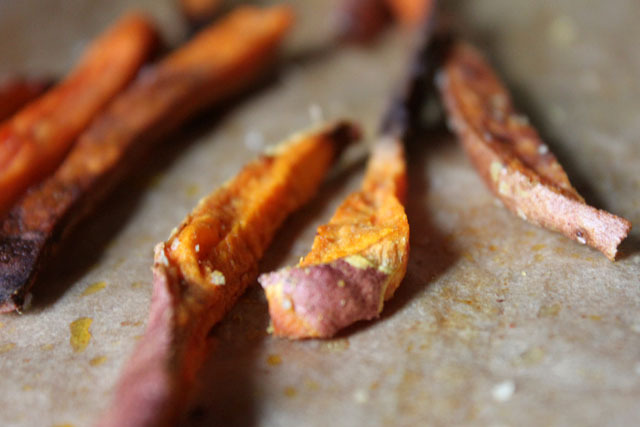 My recipe for baked cumin sweet potato strips is simple, spicy, tangy, sweet, and healthful all at once. Enjoy them hot or at room temperature as a rustic snack in a mug or as a side dish on your plate. 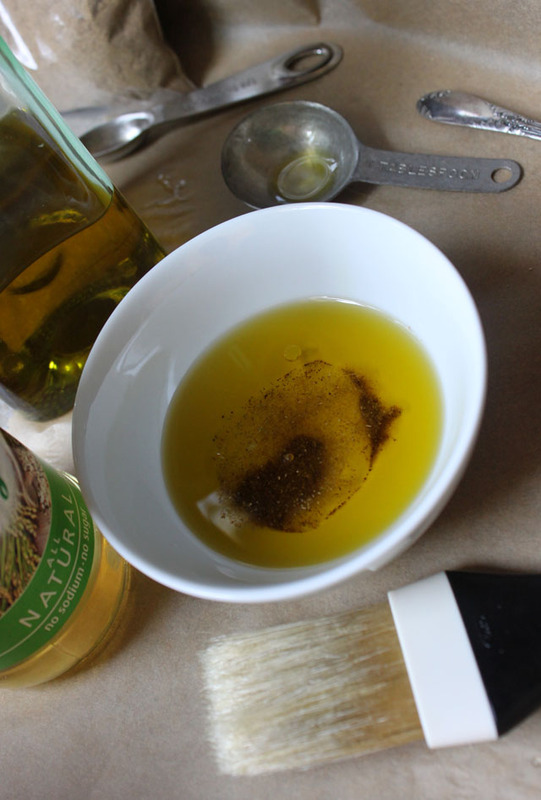 Mix together olive oil, vinegar, and cumin with a pastry brush. Lightly brush parchment paper with cumin mixture. 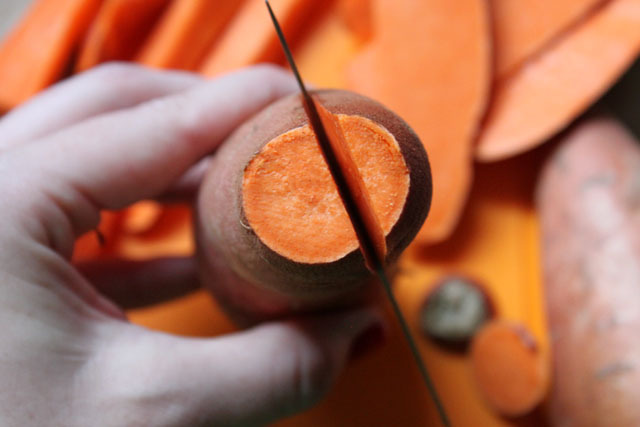 Wash, dry, and slice sweet potatoes to desired thickness. 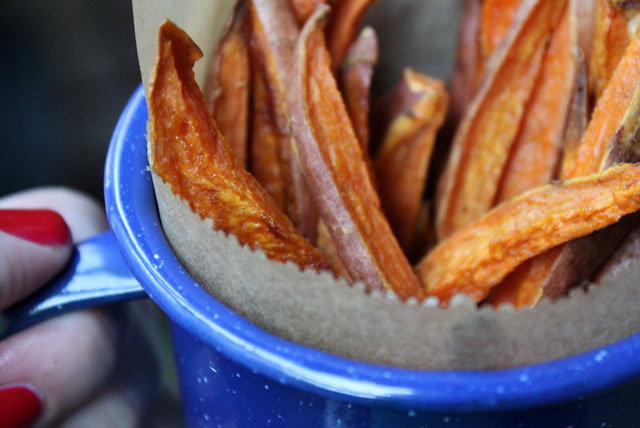 Place sweet potato slices on parchment paper. Brush tops with remaining cumin mixture and sprinkle with kosher or sea salt. Bake 25-40 minutes depending on thickness of strips and your crunchiness preference. Yum! 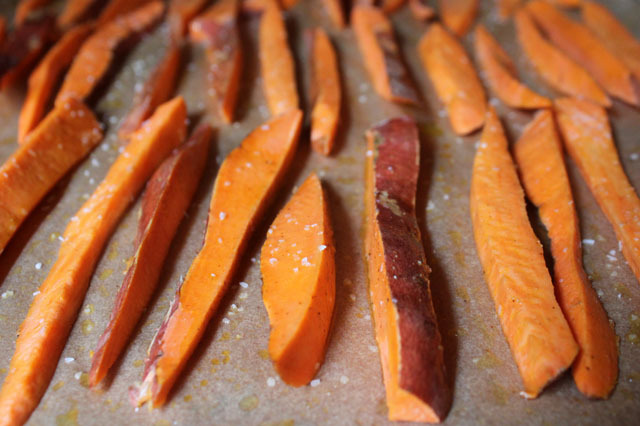 We roast sweet potatoes all the time and I love cumin too–I’ll have to add some next time! yes! I never get tired of roasted sweet potatoes. Love cumin and those look delicious. I do the same thing with whole, fresh carrots! Yum. cumin and carrots – yum! Fabulous. I love to bake sweet potatoes. Love orange sweet potatoes. So delectable once again! Nice, simple recipe. We love cumin..